The World Bank has slightly reduced its GDP growth forecast for Indonesia in 2013 as the pace of domestic investment recedes and pressures on the country’s external balance intensify due to massive fuel imports. The bank put Indonesia’s economic growth for this year at 6.2 per cent , a notch below the previous forecast of 6.3 per cent. The growth projection for 2014 remains unchanged at 6.5 per cent, the World Bank said in its quarterly report issued on March 18. Indonesia’s economy grew by 6.2 per cent last year, down from the 6.5 per cent expansion recorded in 2011. 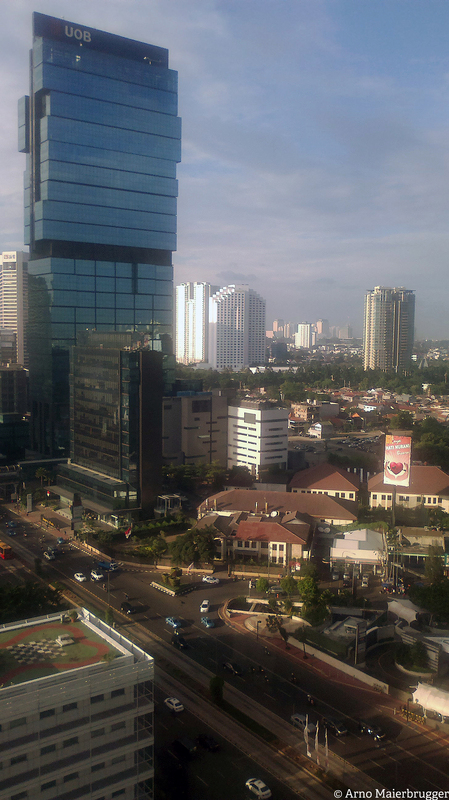 Indonesia’s economy has grown by more than 6 per cent annually for the past three years. Inflation accelerated in February to 5.3 per cent year-on-year compared to 4.6 per cent pace in January. This could erode people’s purchasing power and force the nation’s central bank to tighten monetary policy, both of which could put a brake on investment.